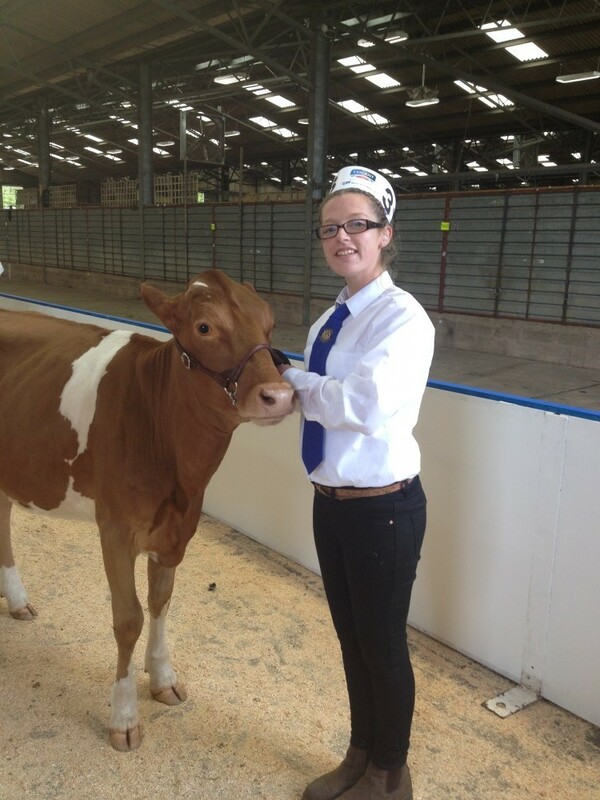 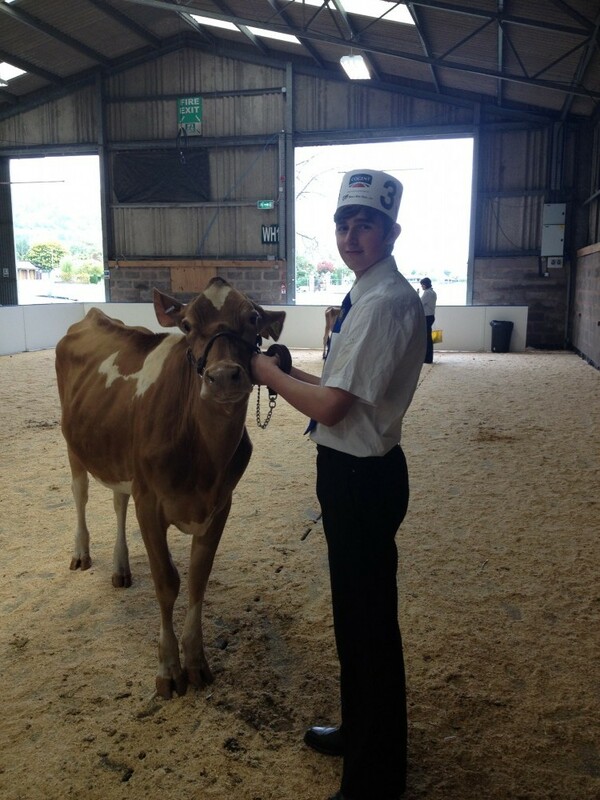 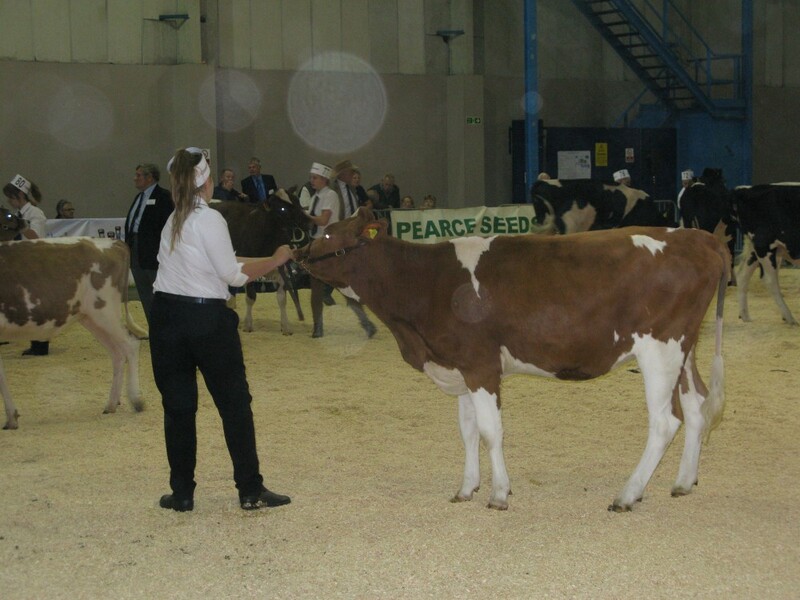 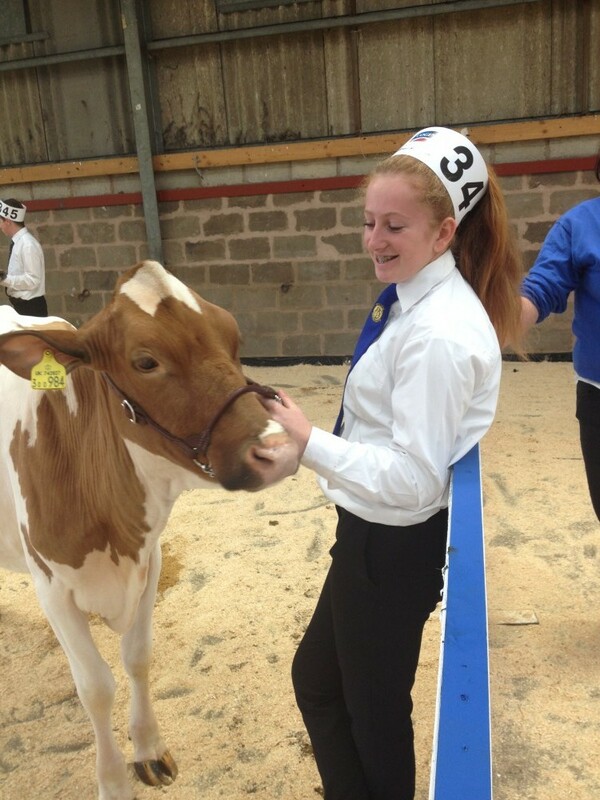 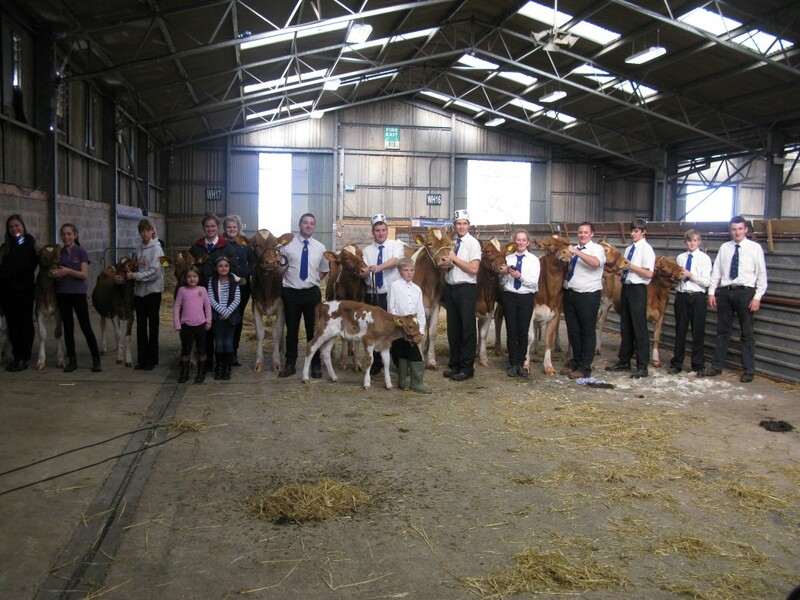 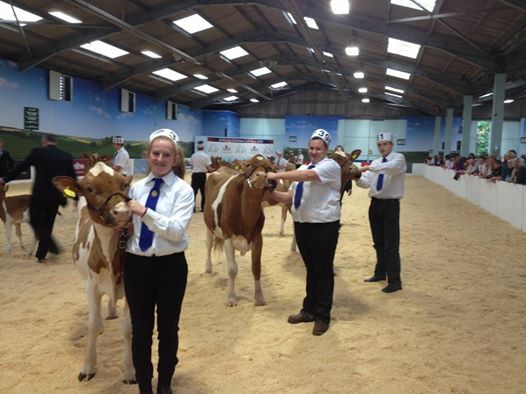 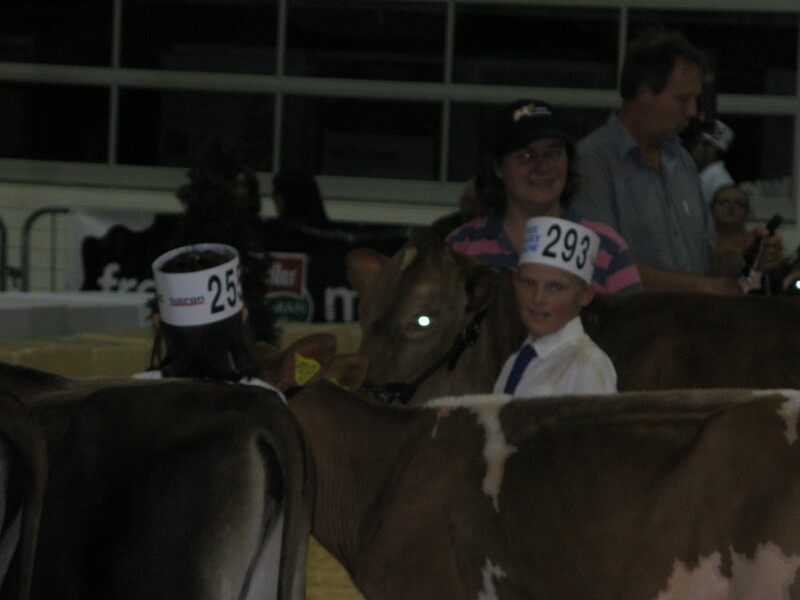 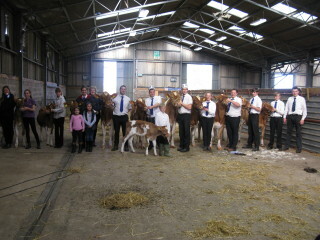 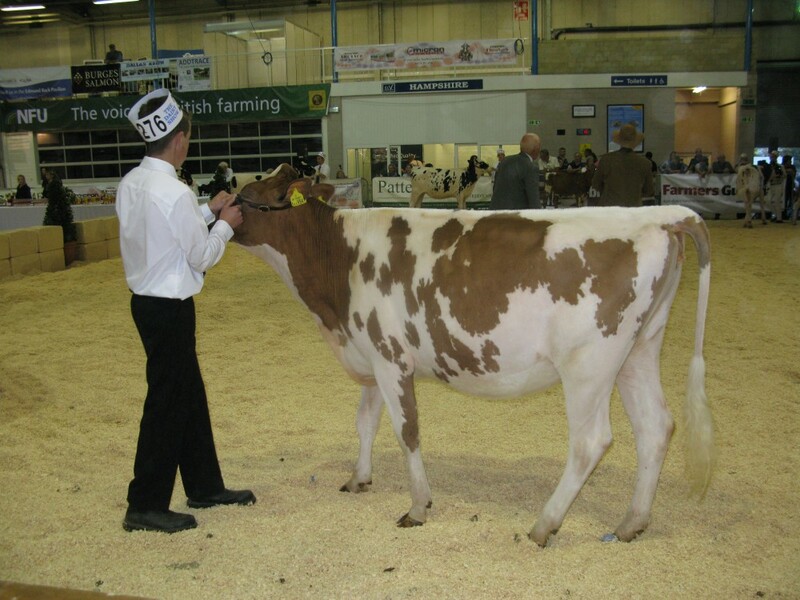 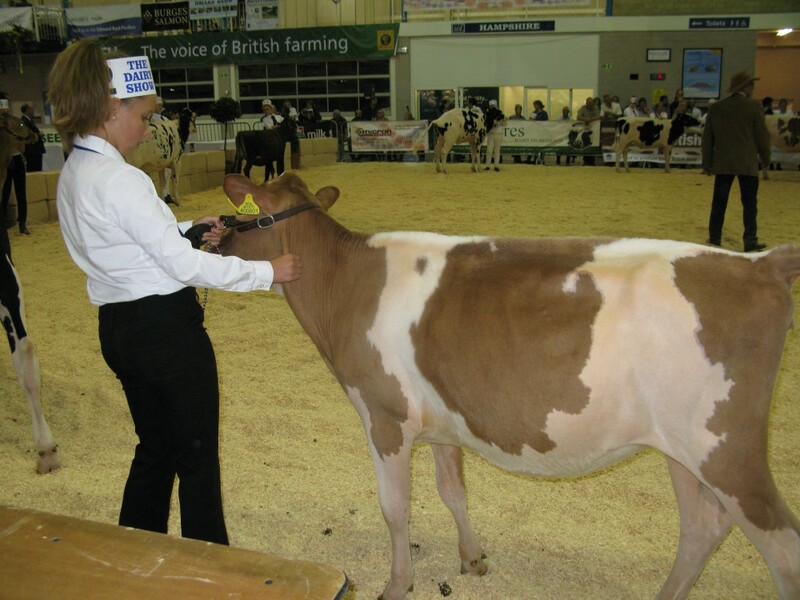 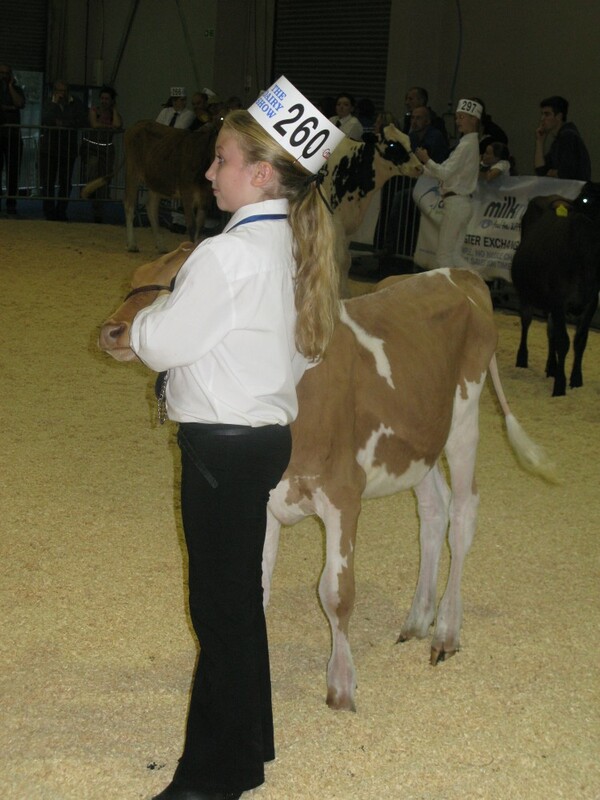 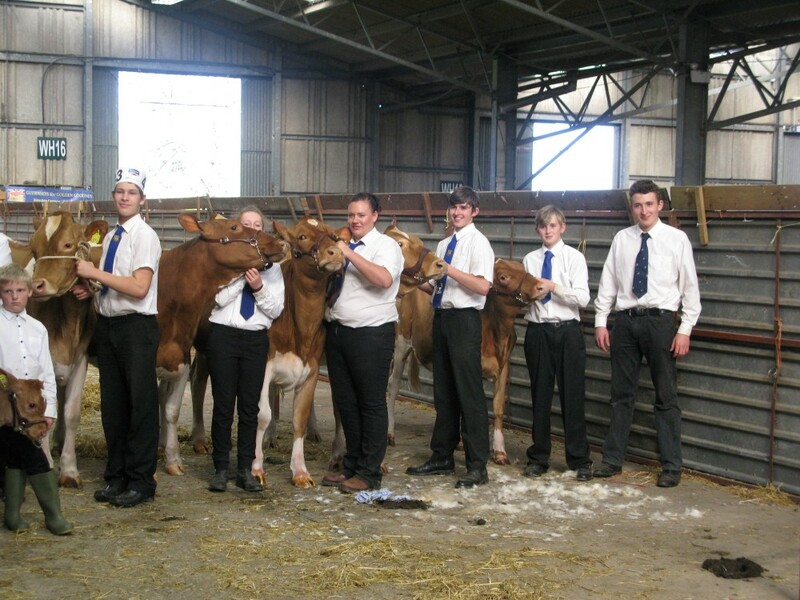 Here are some Images of the Calves and Young Handlers at this years Show. 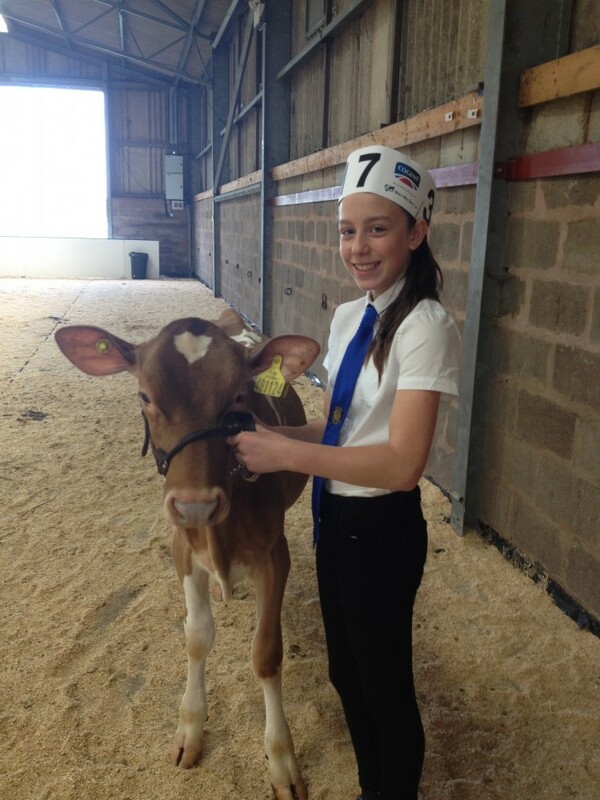 Dolly Boyce with Wiltown Annabelle. 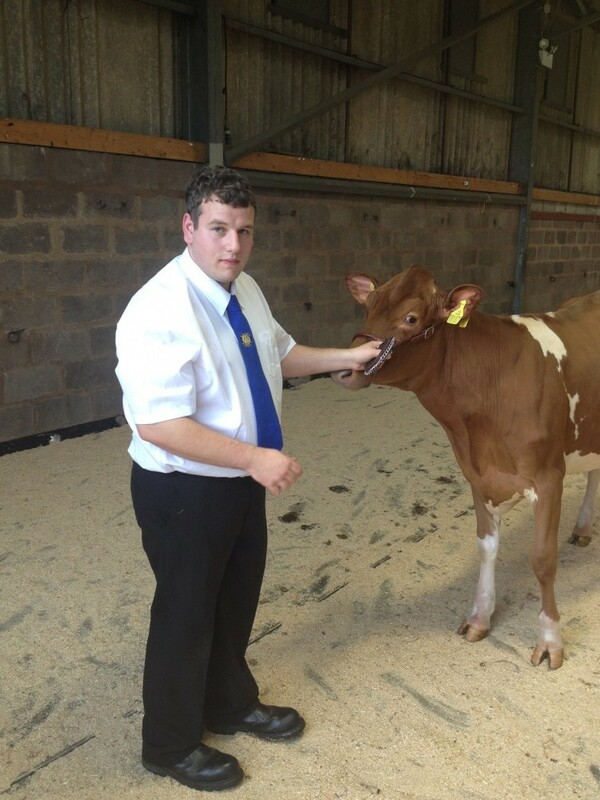 Iwan Jones with Colin Evans Calf, Hilcoll Crunch Flower. Abi Marshall shows Chris and Louise Carpenters Fairfield Conquerors Grace. Hannah Jefford Shows Caroline Greenslades, Greensfield Grumpy Delight. 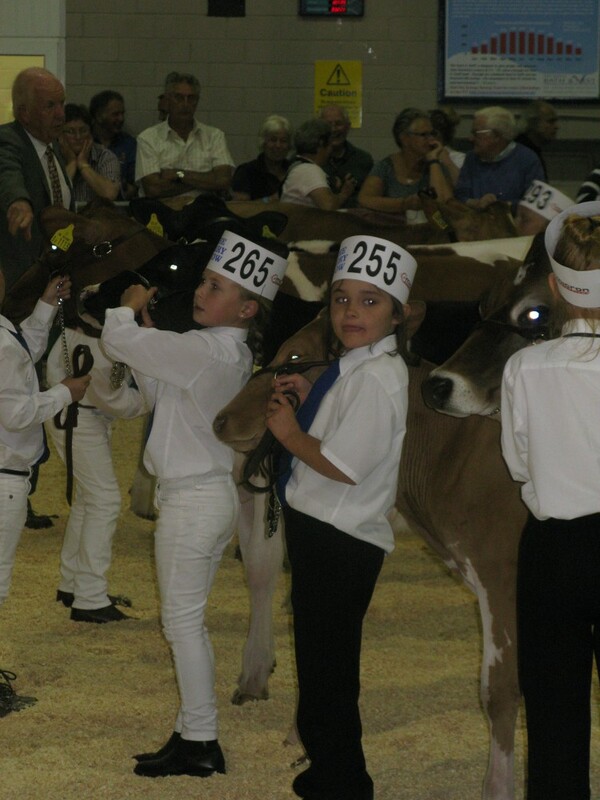 Zoe Walters shows Caroline Greenslades, Greensfield Amir Sudley. 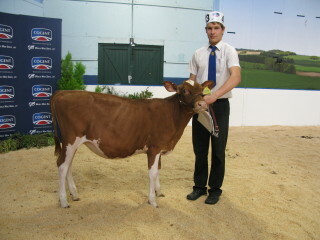 Izzy Phillips shows Greensfield Amir Sudley. 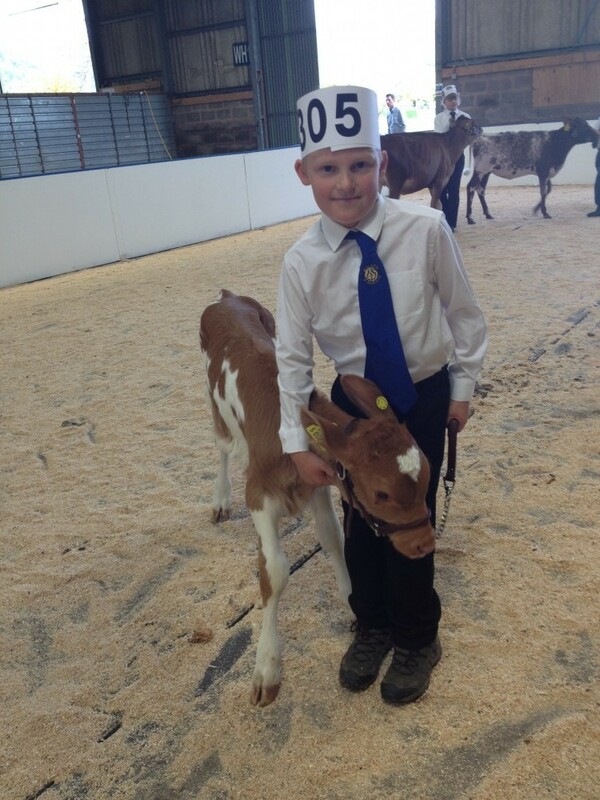 Oliver Carpenter showing his calf, Fairfield Conqueror Grace. 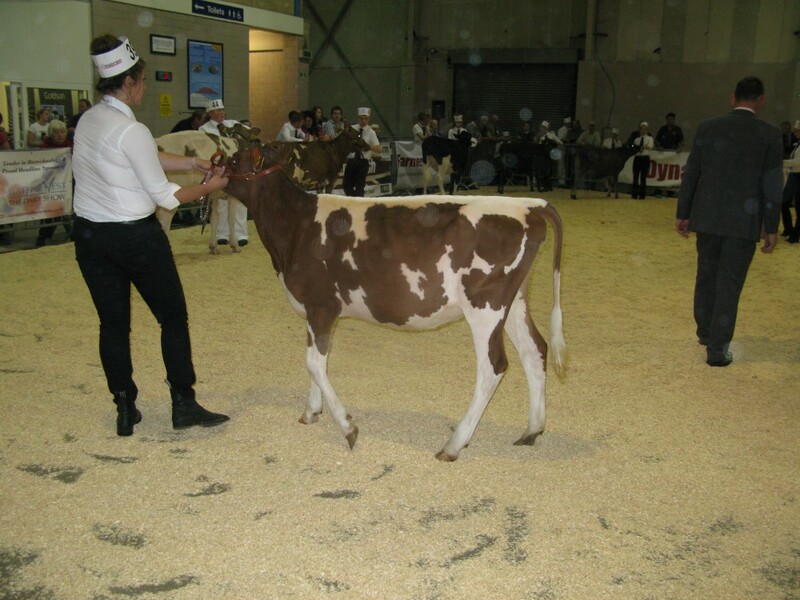 Calf born after 1st Jan 2013. 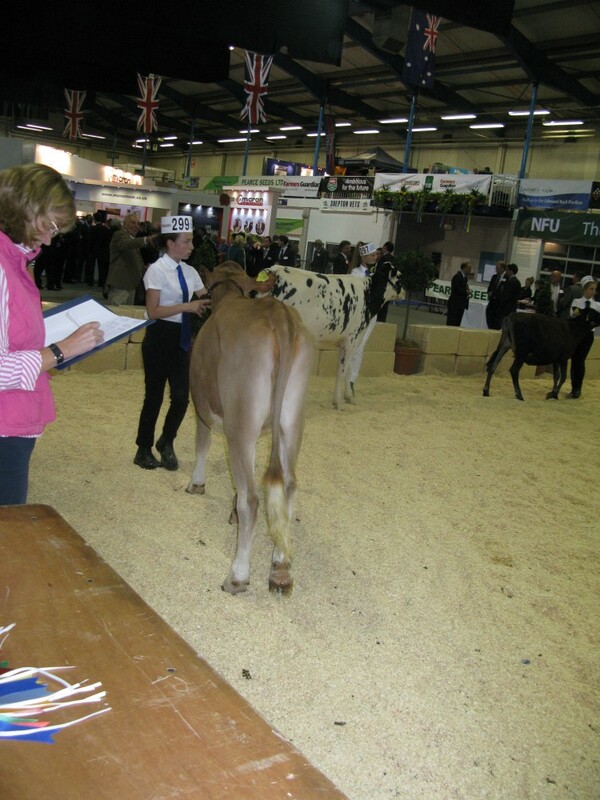 Two Ayshires at the top followed by Laura Sales showing Lucky Cow Lavender for Pollard & Coryn, Iwan Jones showing Colin Evans’ Hilcoll Crunch Flower, Emma Greenslade with Trewey Amir Poppy from the Adams’ and Greensfield Amir Sudley shown by Hannah Jefford. 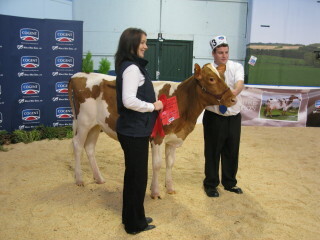 Emma Greenslade with Greensfield Grumpy Delight . 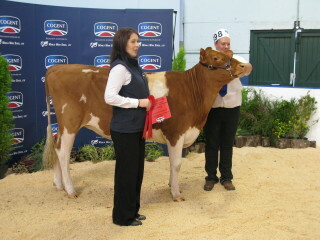 Elissa Langley with Graylands Elissa 13. 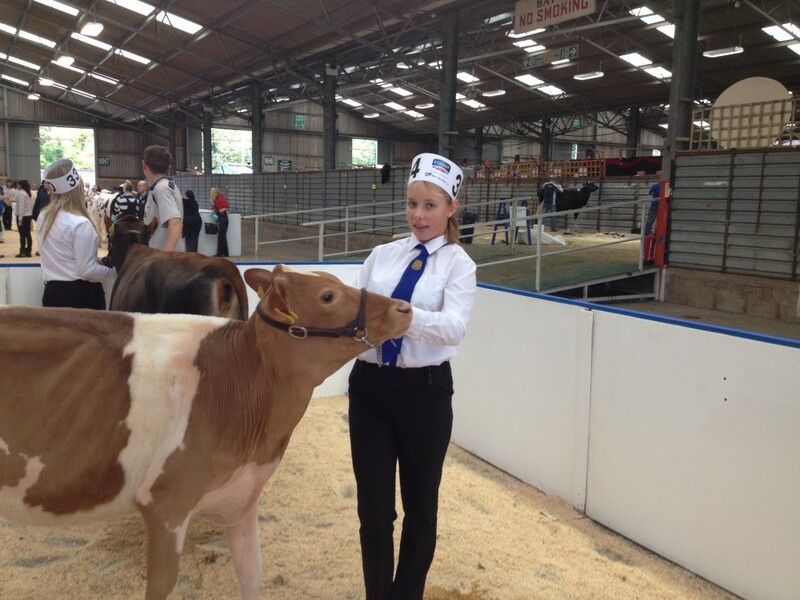 Elissa Langley with Graylands Samantha 10. 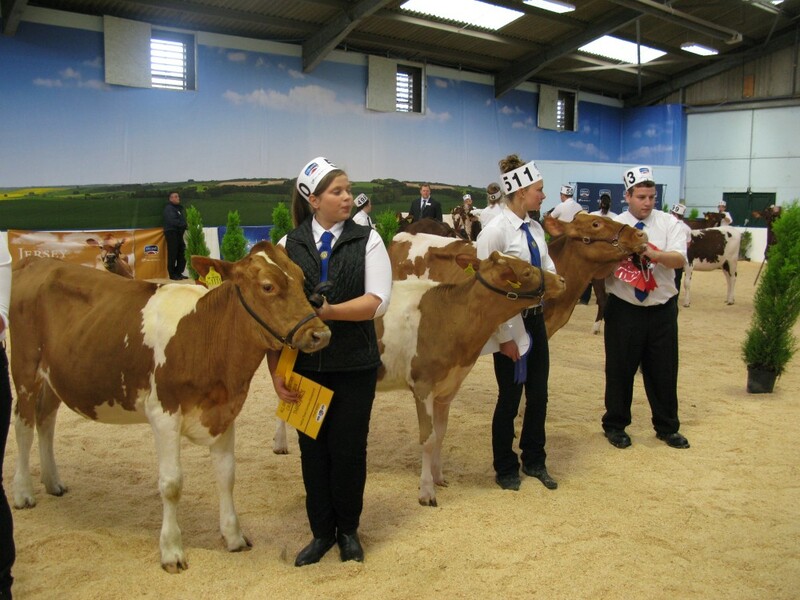 Well done to all handlers and thank you exhibitors, as there was a lot of swapping of calves as they were not behaving themselves too well!! 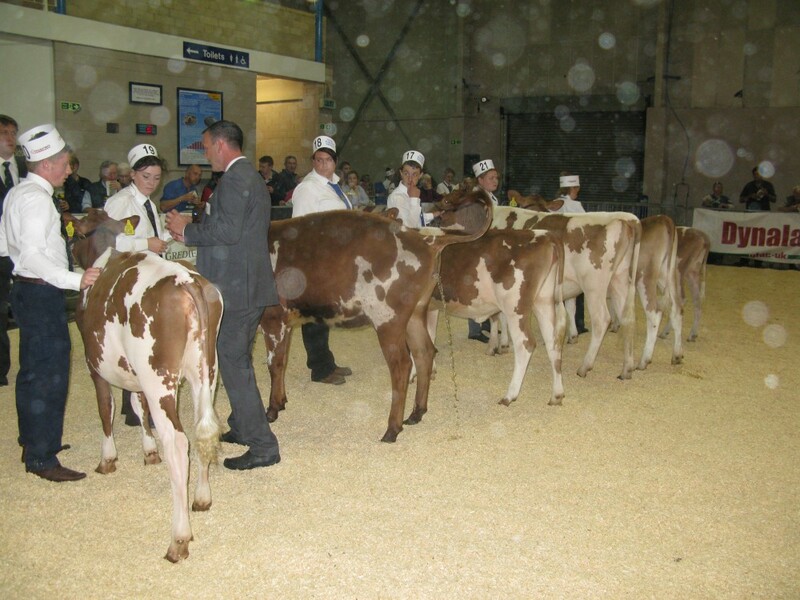 All Britain all Breed Calf Show 2014. 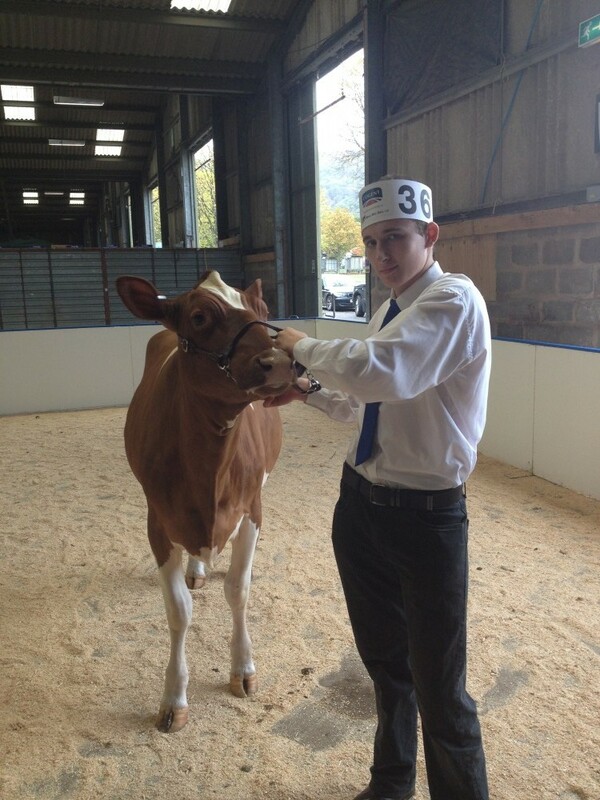 The ABAB was held at the Three Counties Showground, Malvern, Worcs, over the weekend of 18th 19th October. 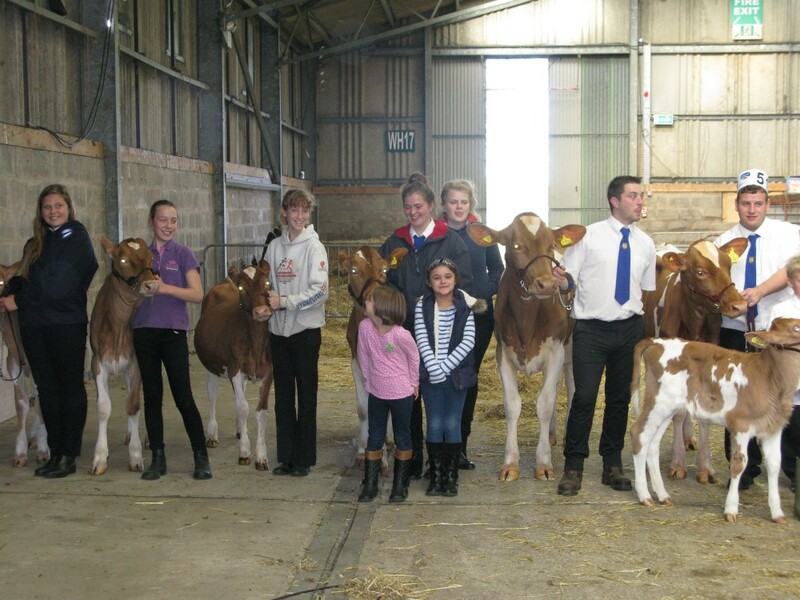 27 calves were forward and handlers were well out in force. 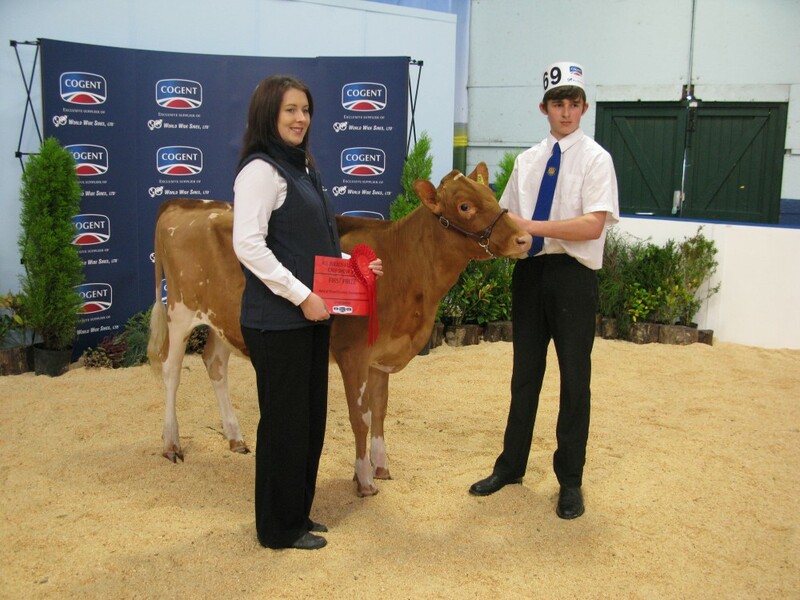 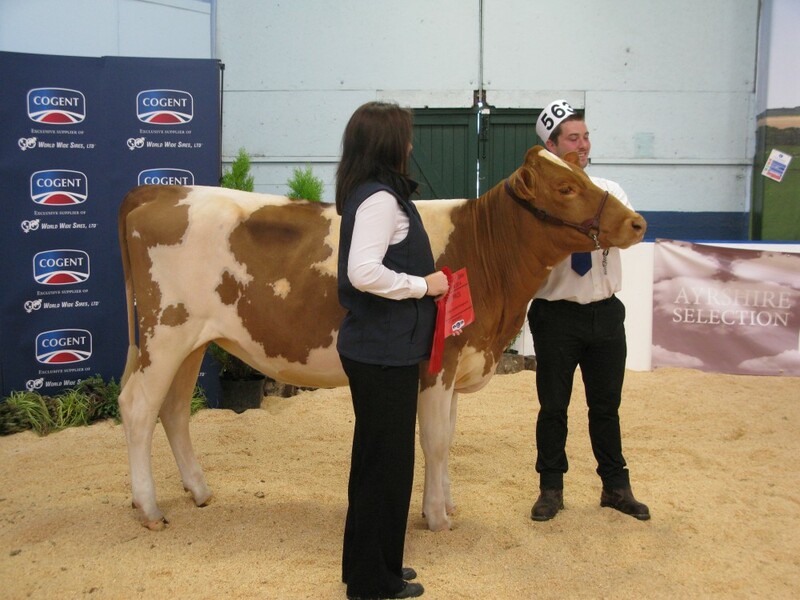 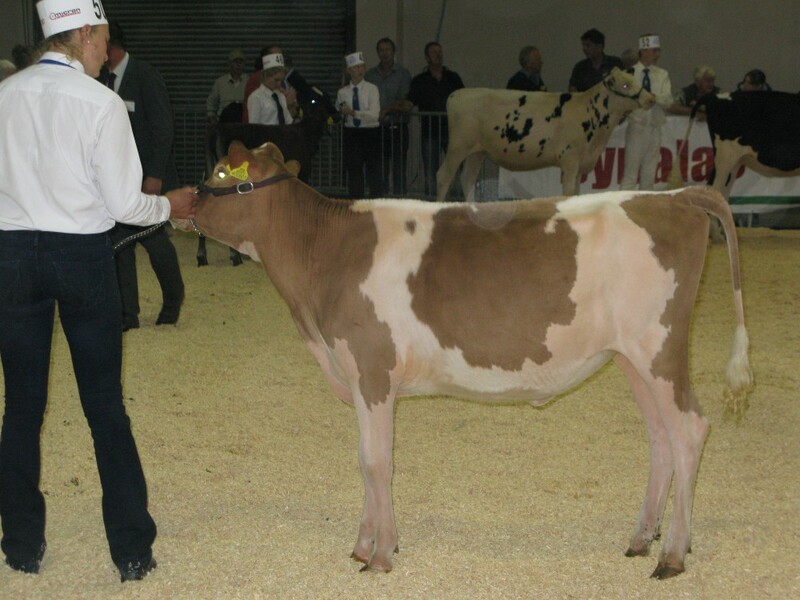 Champion Handler was Heather Limmond from Somerset who showed Colin Evans’ heifer Hilcol Crunch Flower. 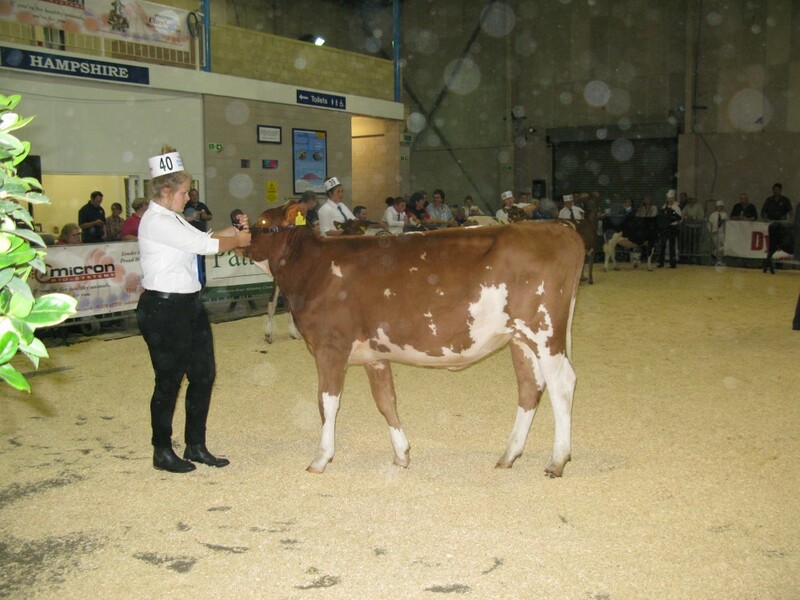 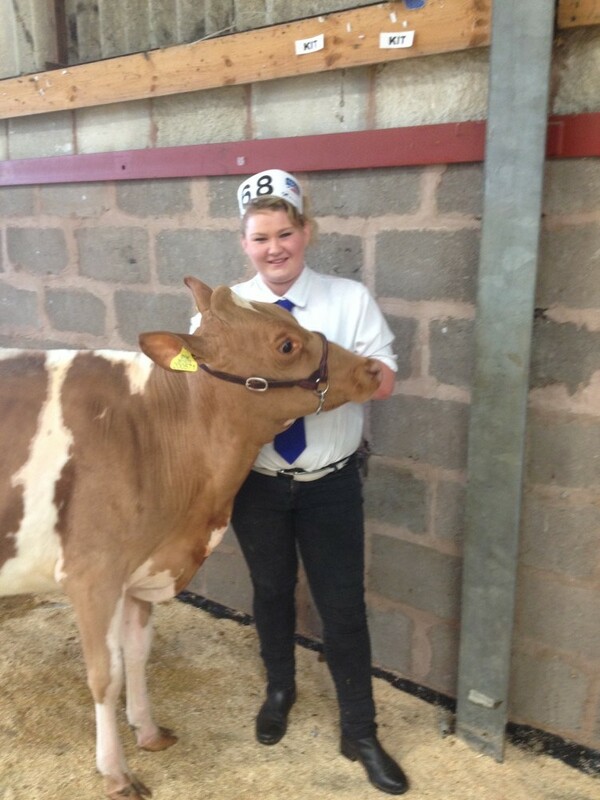 Reserve Handler was Laura Sales showing her part owned calf, Bickfield Linda 68 and Hon Mention went to Andrew Thomas who showed his family’s animal, Kimcote Elizabeth 2. 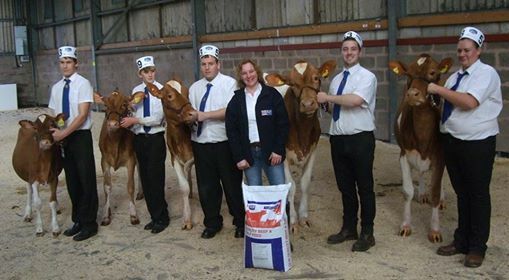 Young Handlers receive their feed from sponsors GLW Feeds.